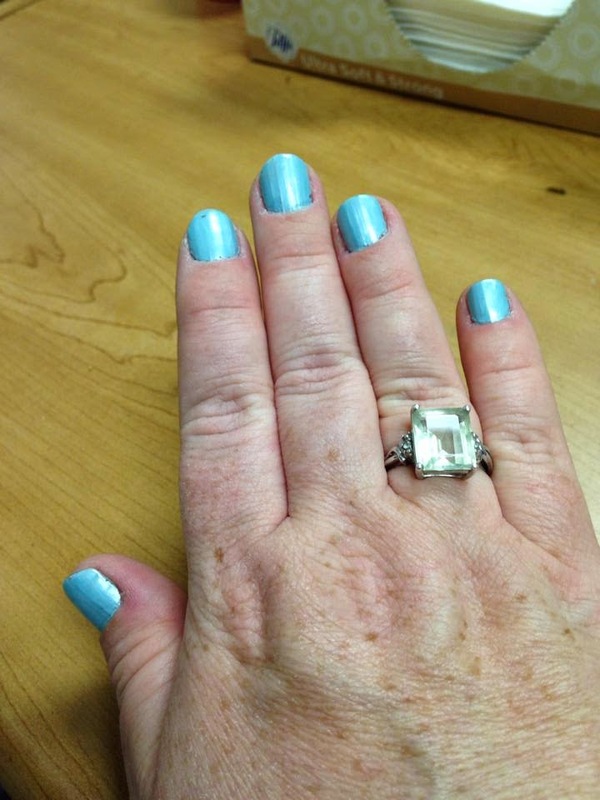 Sporting a light blue from Birchbox! It is from the Color Club Gala Gem's collection and came in Birchbox a couple of months ago! I think it is the perfect Summer color! It won't last long as we prep for Soap Box Derby this weekend!! This post may contain affiliate and/ or referral links. We only recommend things we think our readers will LOVE!!! As always, our experiences and opinions are our own!